Hello Telecom has a bespoke solution designed specifically for the unique communications demands that are placed on general practices daily. Our phone system for GPs will reduce costs and provide a whole new perspective on your day-to-day call handling, freeing you from many of the restrictions of your current system. We can remove the capacity cap on your telecoms infrastructure and provide highly developed call management tools to improve practice efficiency. Our phone system sits in the cloud, providing a common platform for all sites and locations. Staff and patients will see the benefits, as management of peak call demands are improved and your practice gains the ability to handle calls from any location, including remote working from home. We understand the communication challenges and restrictions that general practices currently face. 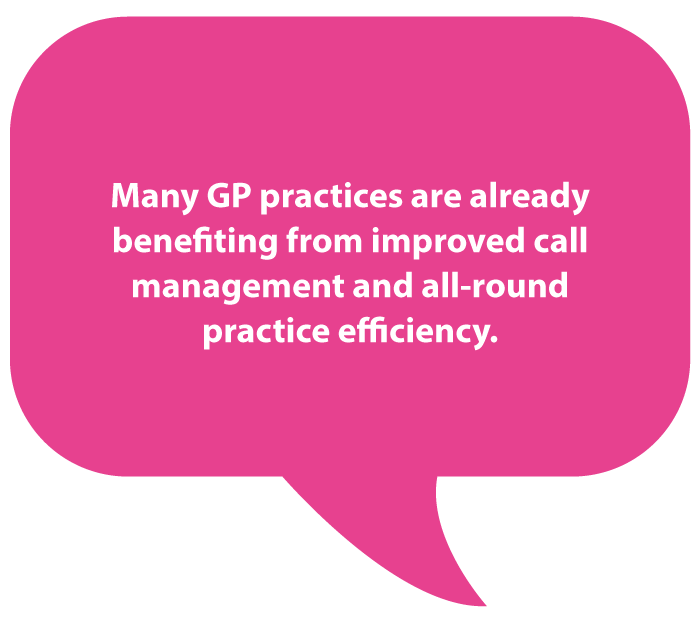 Our GP phone system has been built to eliminate these problems and will empower staff with new abilities to improve day-to-day call management. Our cloud-based system is a scalable and cost-effective solution for any sized practice, with any number of sites and there’s no need for capex or new local facilities.